The feedback for the latest installment of Give a Child a Camera continues to be extremely positive. 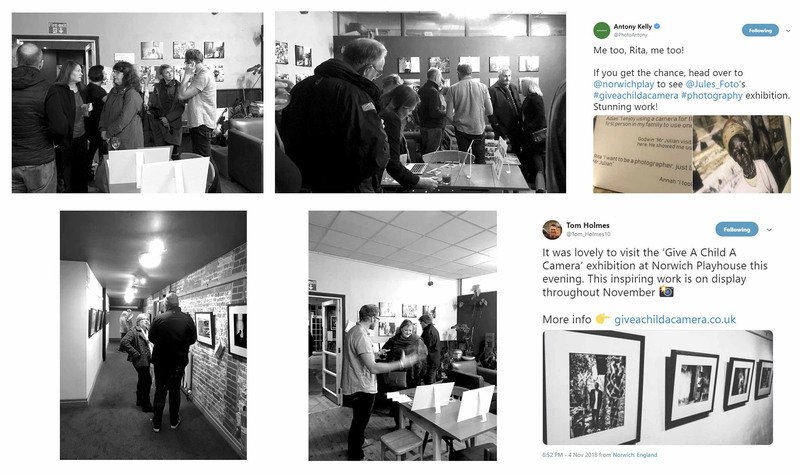 I’m sure one or two of my students could have promising photographic careers, Thanks to those of you who were able to attend the supporters evening on the 4th November – it was lovely to chat and explain some of the work and I’m really pleased it seems to have gone down well. The exhibition is on until the 1st December, plenty of time to pop into the lovely Playhouse, view the work, read the stories behind the images and have a coffee – unwind, relax and immerse yourself in Africa.